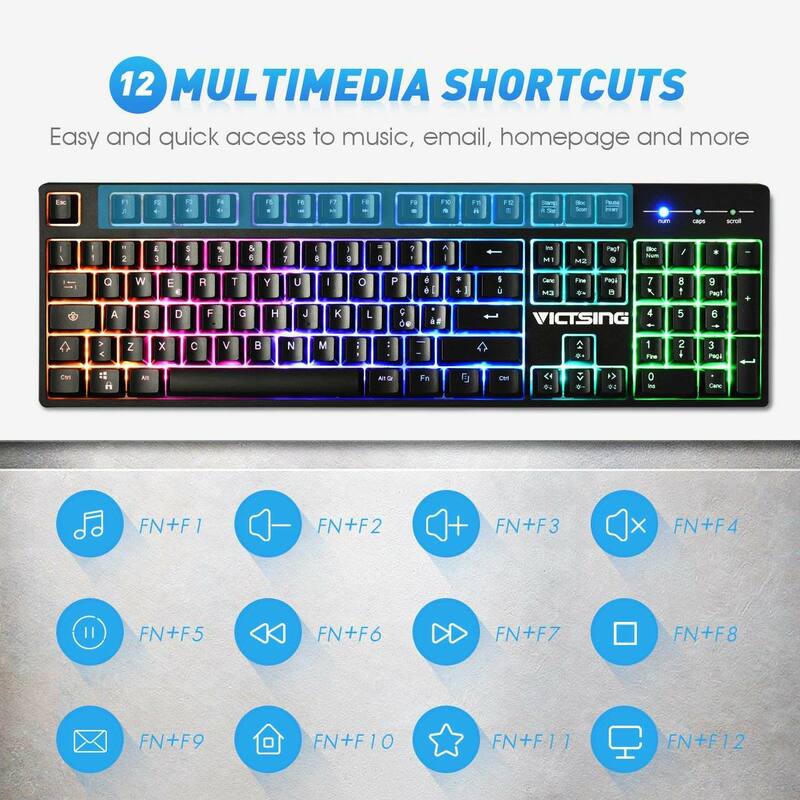 VicTsing’s RGB Backlit Wired Gaming Keyboard offers a mechanical feel with 12 multimedia keys, all for $12.99, today only, originally $69.99. 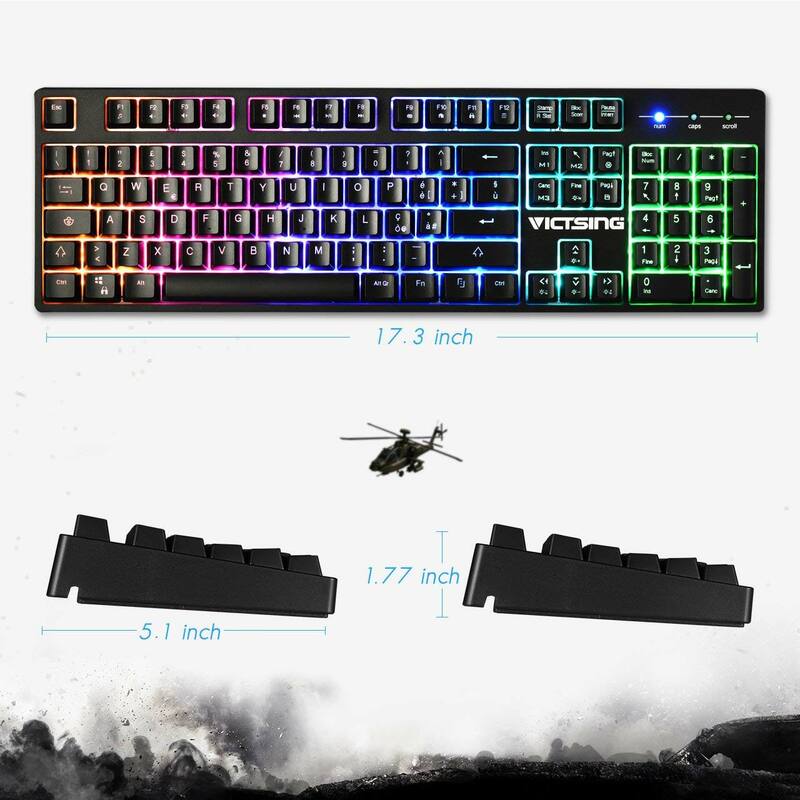 Six-zone dynamic RGB backlight with seven vivid RGB lighting modes allow you to personalize the backlight according to your preferences. Backlit brightness can be switched among five levels. The backlit also can be turned off to prevent light pollution. Product page. Continue reading for another hands-on video, more pictures and information. The bottom of this keyboard features a wire slot. It is convenient for you to adjust the position of the wire according to your needs. 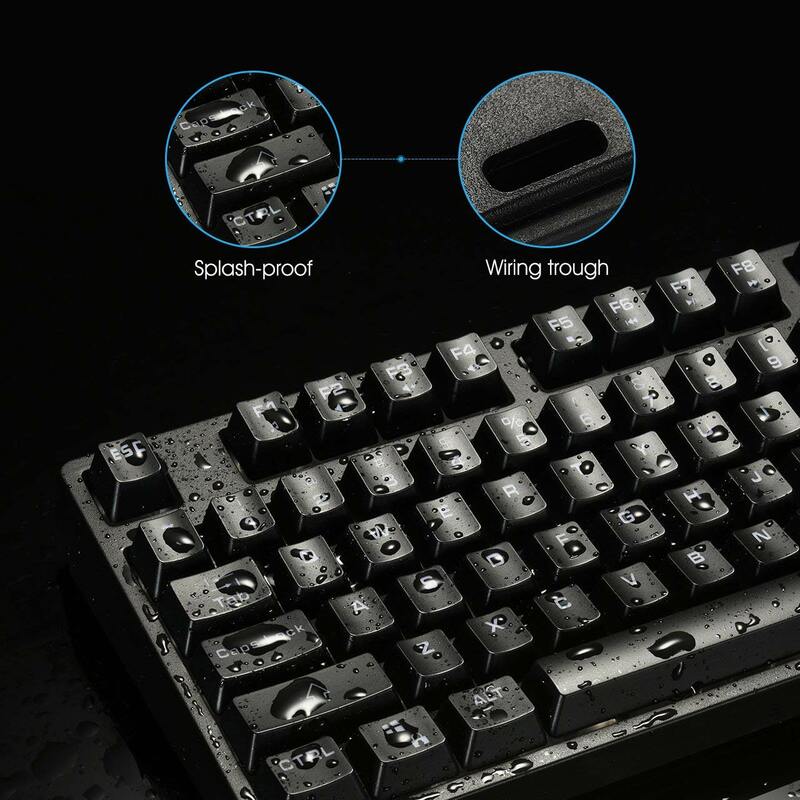 9 drain holes can effectively prevent water from damaging the keyboard. Pluggable keycaps are easy to clean, let you no longer troubled by dust. More information.